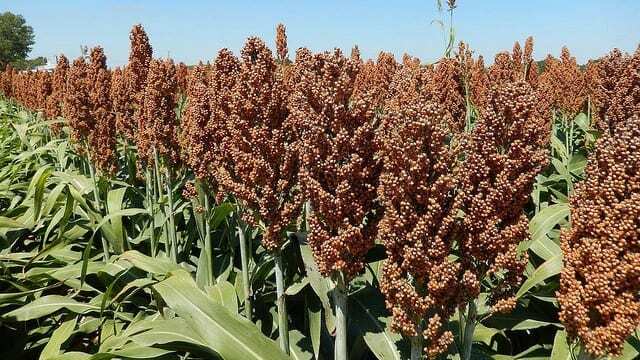 ASIA – China’s sorghum imports in July declined by 62.5% to 220,000 tonnes from 588,364 tonnes a year ago, impacted by heavy tariffs imposed on shipments from the United States and rising international prices, reports Reuters. According to data from the General Administration of Customs, the imports were also below June’s 450,000 tonnes when buyers rushed to buy the commodity amidst easing US-China tariff war. The data also showed that China imported 330,000 tonnes of corn in July, down 63.7% from last year while wheat imports were down 43.03% from a year earlier to 140,000 tonnes. The country buys almost all of its sorghum, one-third of its corn and wheat from the United States. The trade war started in July when the US imposed 25% tariffs on aluminium and steel from China claiming the latter was engaged in unfair trade practices. China responded by introducing new tariffs on a number of US products including soybeans, sorghum and corn. US exports most of its agricultural commodities to China thus the tariffs have affected soybean growers who exported US$14 billion worth of the commodity to China, according to the American Soybean Association (ASA). The National Pork Producers Council (NPPC) had indicated that the 25% tariffs on pork products would lead to losses of up to US$2.2 billion annually for the industry. Barley imports dropped to 600,000 tonnes while it brought in 88,163 tonnes of pork. In May, China dropped an anti-dumping probe on U.S. sorghum, as well as a requirement for a 178.6% deposit on the value of shipments. This was a result of negotiations to solve the trade disputes, where China offered to buy nearly US$70 billion of American goods if US halted the tariffs. China however went ahead to impose 25% tariffs on a list of U.S. products including sorghum, corn and soybeans. Recently, US unveiled a list of additional tariffs on approximately US$200 billion worth of Chinese imports, intensifying the trade war.